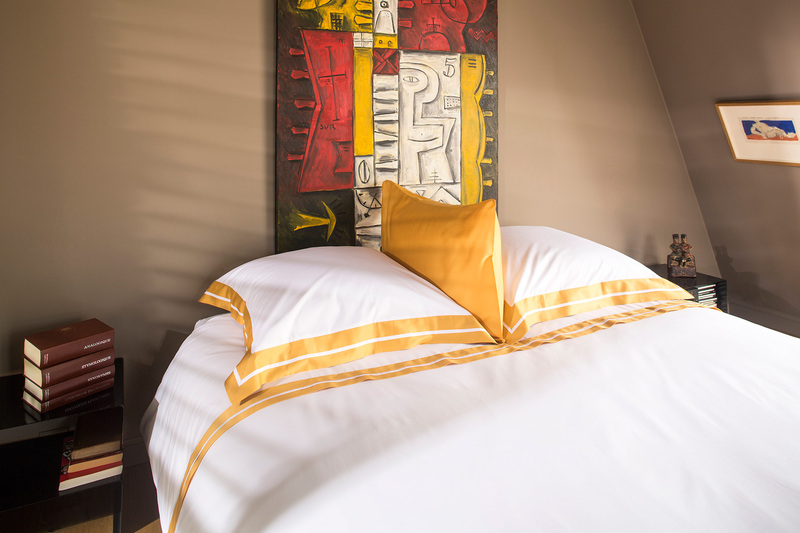 A bed in white pure Egyptian cotton percale (406 thread count), highlighted by coloured sateen borders. Here in YELLOW. Our confirmed style is represented by a game of doubled borders named TANDEM. A contemporary classic ! The double sateen border allied with our 406 thread count percale confirms the appreciated matt and shiny effect that connoisseurs appreciate! Choose your colour according to your taste!